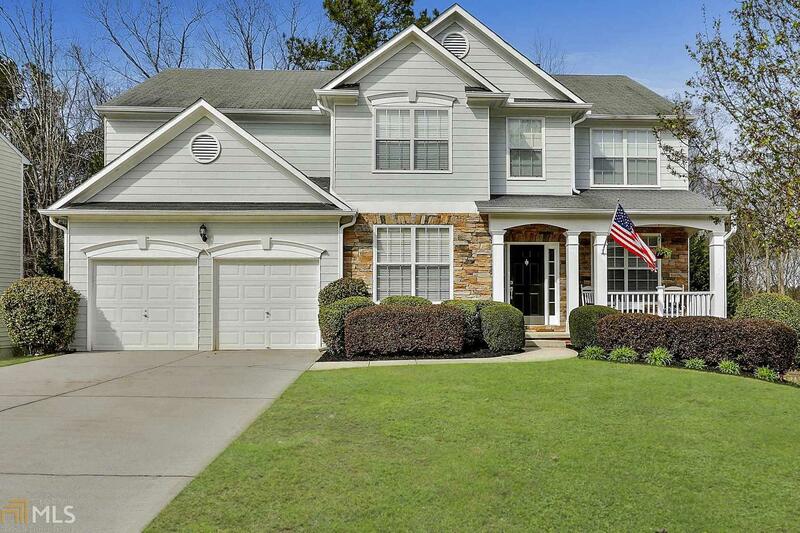 Beautiful 4BR/2.5 BA home at quiet end of cul-de-sac on FULL unfinished walk out basement! Open floor plan w/ formal living room & dining room, FR w/ wall of windows & stacked stone fireplace. Bright kitchen w/ island & and NEW stainless appliances, opens to family room. Interior lights are LED. Office/den/playroom on main floor. Upstairs - large master BR & Bath w/ garden tub, double vanity, separate shower + big walk in closet. 3 additional bedrooms w/ lots of natural light complete this level. Updates: lighting/fans, paint, plumbing fixtures & ship lap! New hot water heater. Full unfinished basement stubbed for bathroom & walks out to private, wooded lot. Award winning Peachtree City schools! Neighborhood connects to over 90 miles of golf cart paths! Directions: From Hwy 54 West, Turn Right On McDuff Pkwy. Turn Left On Chadsworth, Then Right On Amelia Lane. Home On Right In Cul-De-Sac.